Tom James Company of Tampa Spring Summer 2018 Custom Shirt Promotion. Stock Up This Season On Casual, Work Or Sport Shirts. 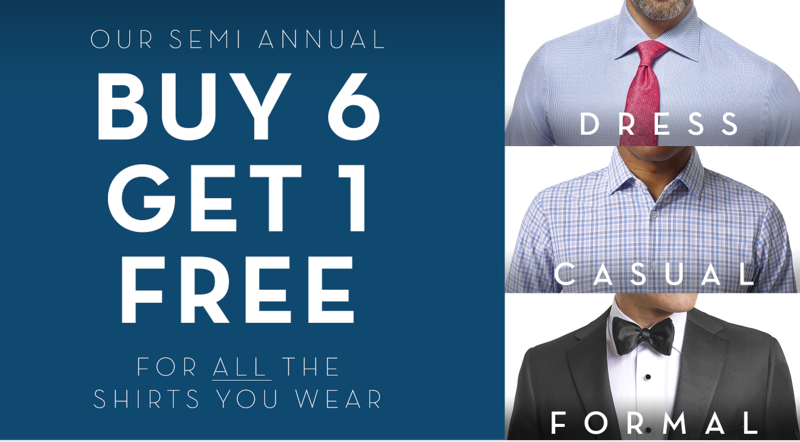 For Every 6 Custom Shirt You Purchase You Receive 1 Free. You Can Pick From Basics Like White/Blue, Checks, Stripes, Plaids. We Can Make The Long Sleeve Short Sleeve and Style Them For Dress Or Casual.